What are the arguments in favor of comprehensive immigration restrictions, what relevant ethical claims are political discourses obscuring, and how has German hip-hop formed as a result? 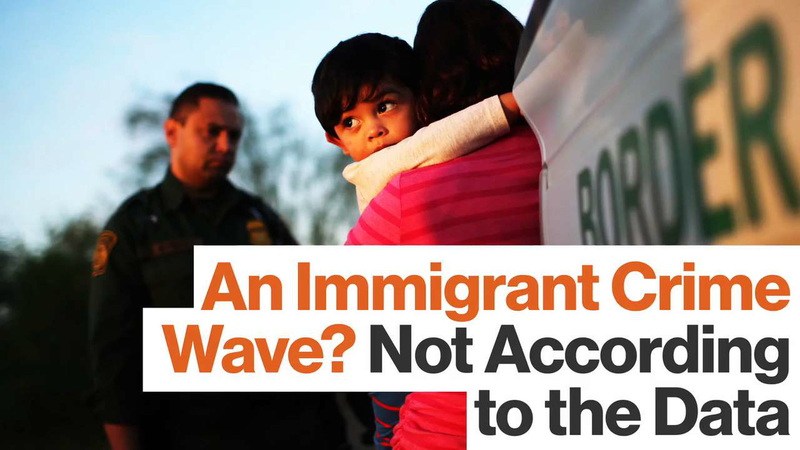 Political debates in recent years have depicted immigration in increasingly distorted ways. Dominant fears of immigrants characterize are in conflict with verifiable statistics. Furthermore, the heated rhetoric surrounding the topic has obscured some fundamental ethical questions surrounding the topic that, when explicitly considered, permit anti-immigrant concerns to be assuaged with much less severe policies. The political debates about immigration in recent years have obscured some of the more obvious facts about immigration – especially with respect to crime. As Professor Marie Gottschalk, who studies and teaches political science at the University of Pennsylvania, observes, American law enforcement and immigration enforcement agencies have converged in a costly way on empirically false premises since the Reagan administration and through the Obama administration. She notes, for instance, that while the average number of deportations grew from about 20,000-25,000 under Reagan to 400,000 under Obama, rises in crime due to legal and illegal immigration have been virtually non-existent: Professor Gottschalk cites data demonstrating that immigrant populations suppress crime rates in Gateway Cities and have no effect on crime rates in other cities. This is in direct contradistinction to politicized depictions of immigration as synonymous with waves of violent crimes. In addition to Professor Gottschalk’s work, many scholars and journalists have worked to shed light on the plights of immigrants. For example, an episode of NPR’s program Embedded called “The Immigrant” examines the legal realities of cases of deportation as experienced by a family and a lawyer who works to try to keep the immigrant-father together with the rest of his family. Numerous such works illuminate deeper humanitarian concerns implicit to current practices of restricting immigration. You don’t have to be a libertarian to admit that this seems like a monstrous injustice. The entire ideological menagerie—liberals, conservatives, moderates, socialists, and libertarians—would defend your right to move from Haiti to the United States. What’s so bad about restricting your migration? Most obviously, because life in Haiti is terrible. If the American government denies you permission to return, you’ll live in dire poverty, die sooner, live under a brutal, corrupt regime, and be cut off from most of the people you want to associate with. Hunger, danger, oppression, isolation: condemning you to even one seems wrong. Which raises a serious question: if you had been born in Haiti, would denying you permission to enter the United States be any less wrong? The power of this thought experiment can be summed up as follows. There are parts of the world from which to deny an American citizen re-entry would be tantamount to condemning her to a gruesome fate. If not clearly unjust, then arguing against re-entry citizen necessitates extraordinary explanation. To say that such a gesture is not unjust if applied to someone not native to America seems arbitrary. What we are left with, then, is a prima facie depiction of the humanitarian side of immigration: many people emigrate to flee dire straits. Intuitively, this is even truer when the immigrants risk extraordinary punitive measures by an ever-expanding security measures to immigrate enter America illegally. There is a cheaper and more humane alternative: Charge immigrants surtaxes and/or admission fees, then use the extra revenue to compensate low-skilled Americans. For example, you could issue green cards to Haitians who agree to perpetually pay a 50 percent surtax on top of their ordinary U.S. tax liability. Haitians used to earning a dollar a day would jump at the opportunity, and the extra revenue could fund, say, tax cuts for low-income natives. Critics can tailor the details to fit the magnitude of the harm they believe immigrants inflict on native workers. Whatever the magnitude of this harm might be, extracting compensation is cheaper and more humane than forcing foreigners to languish in the Third World. Professor Caplan argues that the matters of American workers can be addressed without resorting to outright restrictions to immigration. If one endorses immigration restrictions on the basis that they hurt American workers but agrees on the troubling humanitarian implications of not allowing people to immigrate, it is unclear how she could advocate for a policy more restrictive that what Caplan suggests. Before you embrace immigration restrictions, you should still look for cheaper, more humane solutions. They’re not hard to find. The simplest is to freely admit immigrants, but make them permanently ineligible for benefits. “Net fiscal burden” is not a physical constant. It is a function of policy. If immigrants paid normal taxes and received zero benefits, their “net fiscal effect” would almost automatically be positive. If permanent ineligibility seems unfair, surely it is less unfair than refusing to admit immigrants in the first place. And there are many intermediate approaches. You could impose a waiting period: No benefits for 10 years. You could reduce or limit benefits: Half benefits for life, or double Medicare co-payments. You could set thresholds: Immigrants become eligible for benefits after their cumulative taxes exceed $100,000. Whether you love or loathe these proposals, they are certainly cheaper and more humane responses to the fiscal effects of immigration than the status quo. Once again, Caplan demonstrates that once situated within the humanitarian context of immigration-issues, arguments in favor of restrictions have clear, ethically superior alternatives. These humanitarian-based approaches to immigration could have ramifications for countries outside of America. In The New York Times, Amanda Taub reported that unfounded anti-immigrant sentiments formed an undercurrent through the passing of Brexit. How would Caplan’s framework characterize the ideas of proponents of Brexit or of Geert Wilders, a Dutch politician seeking to become prime minister who endorsed immigration restrictions as part of his platform? How would it contend with the views of German conservatives who have opposed Turkish immigration? In the meantime, discrimination toward Turks in Germany has contributed to cultivating the heart of the German hip-hop scene, which is dominated by Turkish-German rappers—many of whom took inspiration from African-American artists. In the face of all these political controversies and crises, such songs provide opportunities for joy and inspiration.